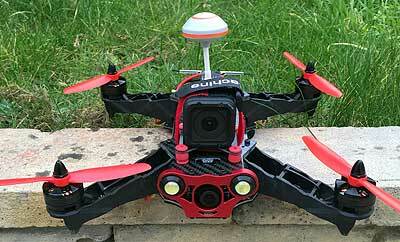 These are great, FPV = First Person View, just like a video games but it's going to cost money if when you crash. 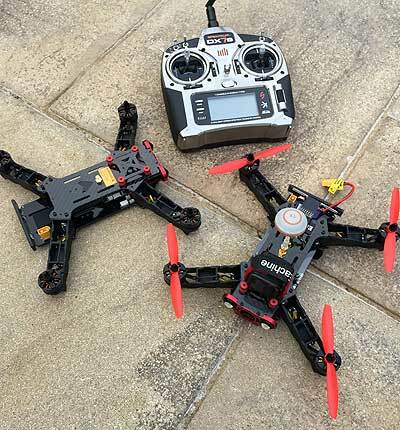 These are Eachine 250 Racer versions, approximately 250mm square. 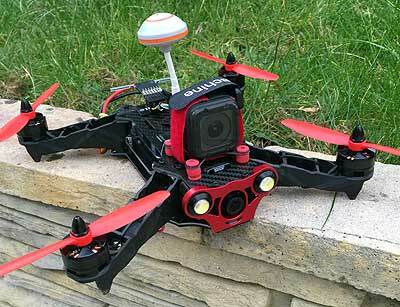 There's a GoPro Session on one of mine, the other is a spare. 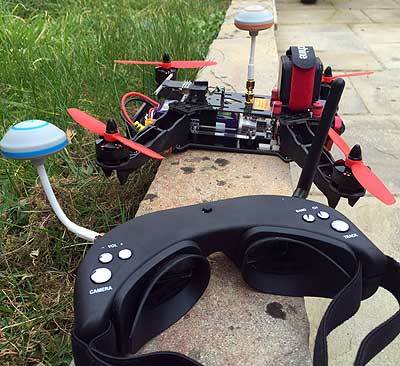 The Goggles let you see through the bottom camera in real time as you fly. A must for this particular version is something that retains the battery in a crash, you're going to crash. The battery is going to keep going and take out the flight controller, many move the VTX (Video Transmitter) to the back and fit the battery on top but at the moment I like the way it looks.